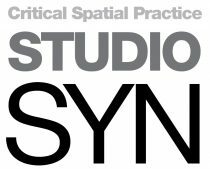 Studio SYN runs a design unit, Studio 7, at BA Architecture at Central Saint Martins. This year the design brief “Radical Arts, Critical Architecture” looked at the area of Brixton and at finding new spatial tactics and typologies that support cultural production related to radical creative practices. Student works were presented as drawings, models, videos all coming together as a bespoke site-specific installation.